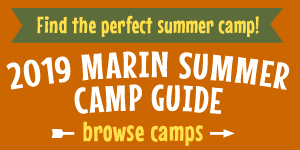 If you haven't been out to the beautiful and picturesque Slide Ranch in Muir Beach, now is your chance! Come to this non-profit teaching farm overlooking the ocean on Saturday, April 28, from 10 am to 4 pm to celebrate food, family, and fun at this year's Spring Fling. It's Slide Ranch's biggest farm event of the year! 2019's Spring Fling features live kid-friendly music, local organic cuisine, hikes and tours, and hands-on farm and craft activities for all ages. Learn where your food comes from by milking goats, feeding chickens, and touring the garden, or making bread, butter, and cheese. See how a sweater is made through sheep shearing, carding and spinning wool, and other wool crafts. Come reconnect with the land on a guided coastal hike, watch a sheep shearing, meet baby animals, listen to tunes by local kids' music faves, or simply relax on a picnic blanket while eating delicious local organic food. Admission to Slide Ranch's Spring Fling is $35 in advance and $40 at the gate. Kids 2 and under are free. Order advance tickets online. No one will be turned away from Spring Fling for lack of funds, and you can make a donation to help provide tickets to families who couldn't otherwise afford them. Request a family scholarship to Spring Fling here. Slide Ranch is located at 2025 Shoreline Highway in Muir Beach. For more info and to see photos from previous Spring Flings, visit www.slideranch.org.